Coloring the skies at the International Balloon Festival View of hot-air balloons during the XVIII International Balloon Festival in Leon, Guanajuato State. 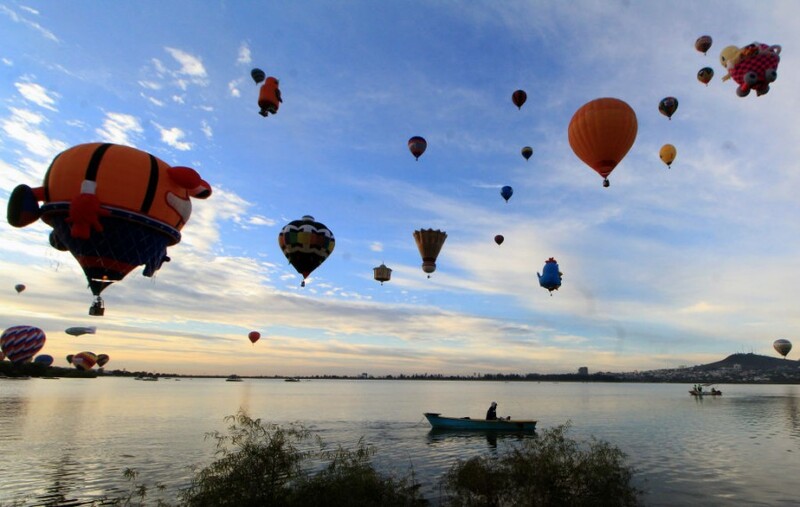 - About 200 balloons from more than 23 countries fly over the Palote dam in the Metropolitan Park. Central American migrants desperately attempt to seek refuge in the U.S.